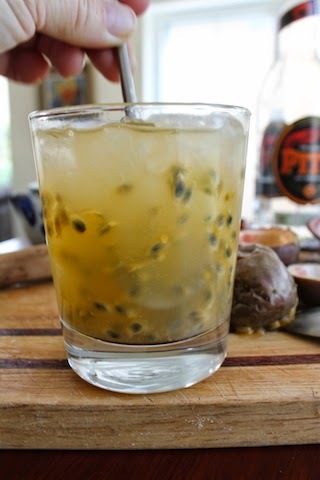 A delightful change from my favorite lime-based cocktail, the caipirinha, this deliciously refreshing libation is made with tart fresh passion fruit and cachaça. 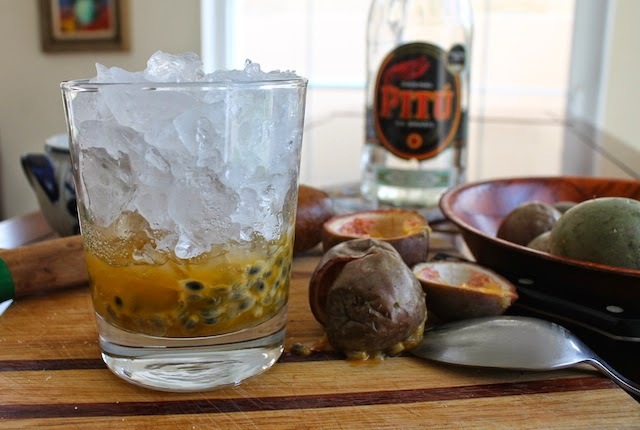 Ever since I made the passion fruit muffins a few weeks back, I’ve been wanting to try passion fruit in a cocktail. 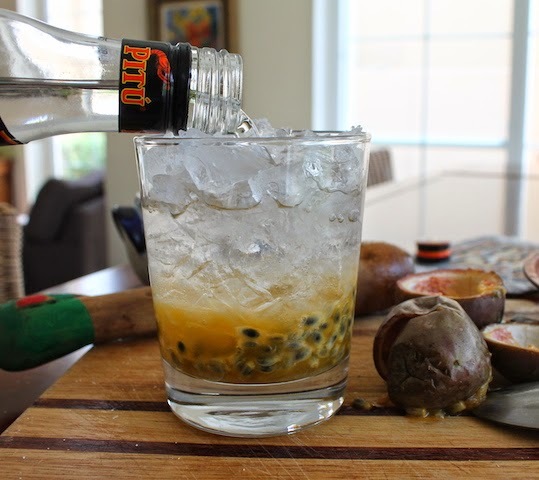 As I mentioned then, I came to love that funny fruit when we lived in Brazil so it seemed appropriate to switch out sour limes for tart passion fruit, but still use cachaça for the alcohol component. 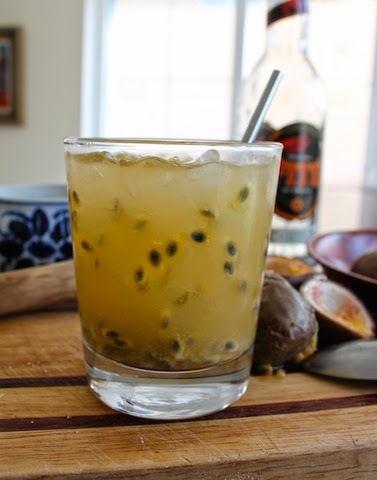 For the name, I mashed together caipira, the Portuguese word from whence the diminutive caipirinha comes, and maracujá, what the Brazilians call passion fruit. A most successfully mash up, if I do say so myself. 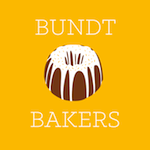 By which I mean the drink although I am hoping the name will catch on as well. 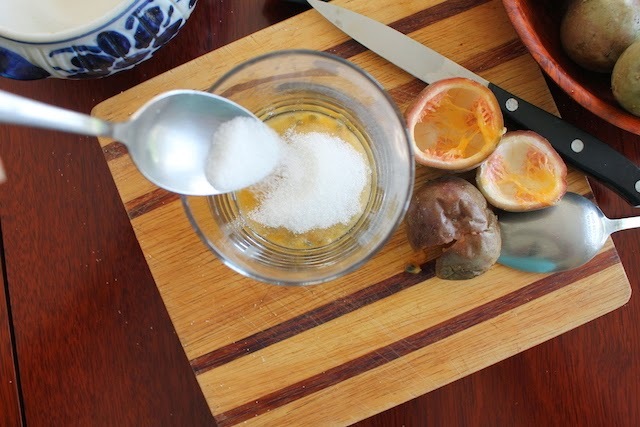 Note: Cachaça is cane alcohol so if you can't get your hands on a bottle, substitute rum. 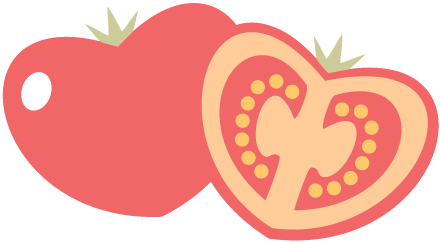 It won't be the same but I'm betting it'll still be delicious. 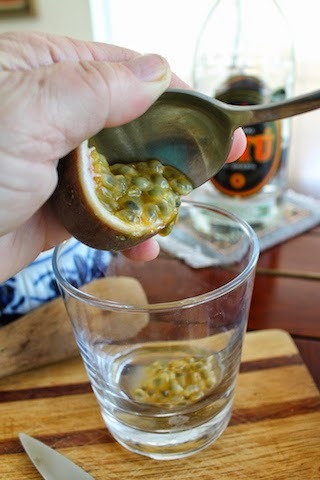 Cut your passion fruit in half and scoop the pulp into a short cocktail glass. 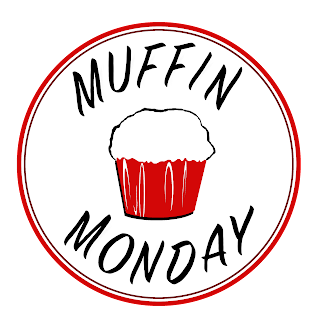 Muddle the sugar and the pulp to loosen the seeds. This shot is really just to show off my parrot muddler. He is Brazilian. As you can see, this is a powerful drink. Stir vigorously and serve with a straw. 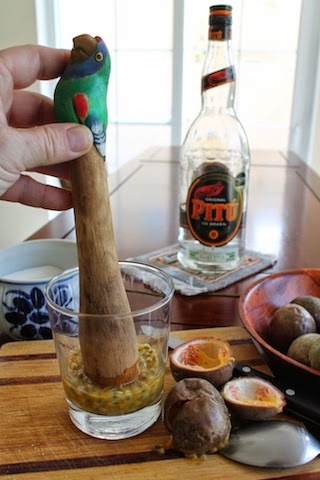 If you found your way here looking for traditional caipirinha instructions, you are in luck. 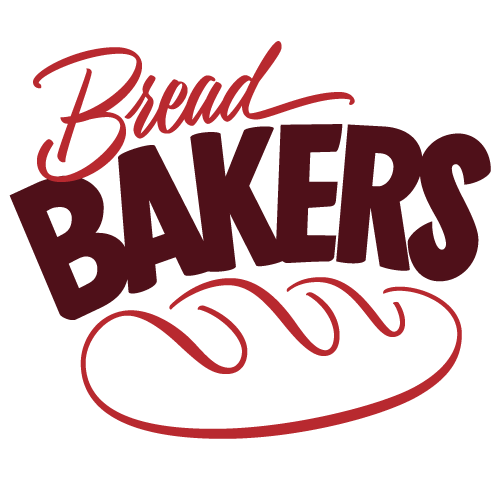 I have those for you too.